If there’s one thing I’ve learnt about Sydney FC this season, it’s that their counter is three at the back, which means it’s going to be a hard game for them on Friday. 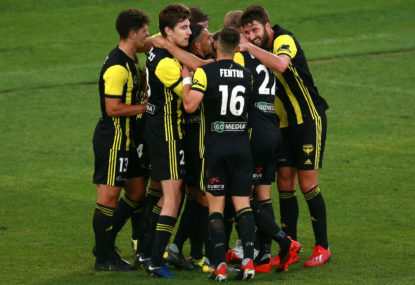 If you think about it, their formation is terrible against three at the back – it forces them into a really defensive position and tires them out, as we saw against Central Coast Mariners and especially Wellington Pheonix. It forces the likes of Siem de Jong and Milos Ninkovic to mark the wingbacks. It makes Josh Brillante and Brandon O’Neill mark one central midfielder each, which makes it a lot harder to cover and means that the front three get marked by the back line of four, which in turn forces the fullbacks of Rhyan Grant and Michael Zullo to push inside, which almost creates a back six. It is not an easy transition into the attack, with Ninkovic and De Jong not fast enough to join the counter straightaway, which means Adam le Fondre and Alex Brosque have to take on three centrebacks. It’s not going to be an easy game, and for me Perth Glory are favourites. It’s at their home ground, which means Sydney will have to adjust to the time difference, and Perth have the perfect counter formation. It also doesn’t help that Jop van der Linden is in doubt for the game, and even though he’s been in poor form lately, he would really be the best player to mark Andy Keogh – they are both strong and physical, but Van Der Linden probably has an edge in terms of pace. Perth had a good game against the Newcastle Jets, so I can’t really see any changes in their starting XI. Joel Chianese had a solid game and won a penalty very early on, but he was not very involved later in the match, so if Diego Castro is fully fit and ready, he will start. 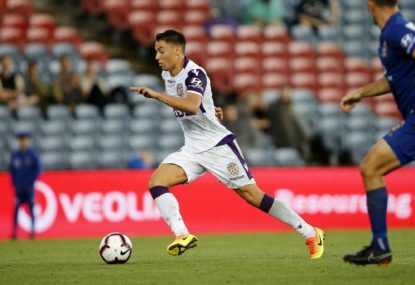 However, Castro is 36 years old, and even though it wasn’t a long injury, Perth won’t want to be rushing him back in, so I can see his starting on the bench and coming on as a sub in around the 60th or 70th minute for Chianese. Andy Keogh didn’t have a very good game but will most likely start, as he has what it takes to press very high and bully the Sydney defenders. The centrebacks and wing backs were very solid, and they will most likely all start again. Perth really needs to use their formation to better Sydney, so there’s really no way they will change their formation. Van Der Linden is in doubt after sustaining a hamstring injury in the 19th minute last week against Western Sydney. Steve Corica said that he would be out for around three weeks, so he will not be travelling to Perth. He will most likely be replaced by Aaron Calver, but if I were Steve Corica, I would be giving Jacob Tratt a go, and not just because he scored – he seemed very solid when defending, very comfortable on the ball (though he wasn’t being pressed), and even once played a switch to Michael Zullo that Jordy Buijs would have been proud of, which is something that Sydney have really been missing this season. Over the last two seasons, if Sydney were being pressed, Jordy Buijs would play a switch, which could kickstart Sydney’s attack, whereas this year they would get either Van Der Linden or Andrew Redmayne to smash the ball up and hope. Apart from that, I can’t see any changes, but I think that if they can fit Paulo Retre into the line-up, they should, because he has been one of Sydney’s best players so far this season. Although Perth has Sydney’s counter formation, I can’t really see Corica changing the formation as you can’t really change a formation and make a team play it for the first time against the league leaders, can you? Sydney has not been up to form lately and they have struggled against teams with three at the back in the past. Perth also has some very in-form players: Chris Ikonomidis and Neil Kilkenny are just two, whereas Adam le Fondre hasn’t scored in two games and Ninkovic just hasn’t seemed to be the same after he was heavily challenged in the Central Coast Mariners. 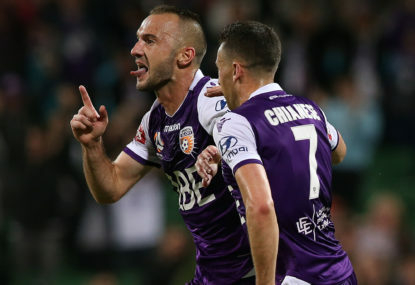 I think that Sydney has too much attacking talent not to score, but Perth Glory have an as–strong attack and an even stronger defence, so the final score will be between a 1-1 draw and a 3-1 Perth win. However, if Sydney can recapture their form, then who knows which way this game could go! 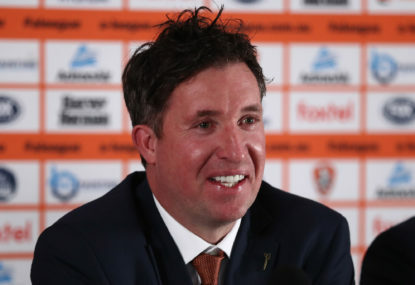 Not even the 4300 kilometres separating Brisbane and Perth could adequately describe the disparity in interest between the Roar’s signing of Robbie Fowler and the Glory’s re-signing of Diego Castro. 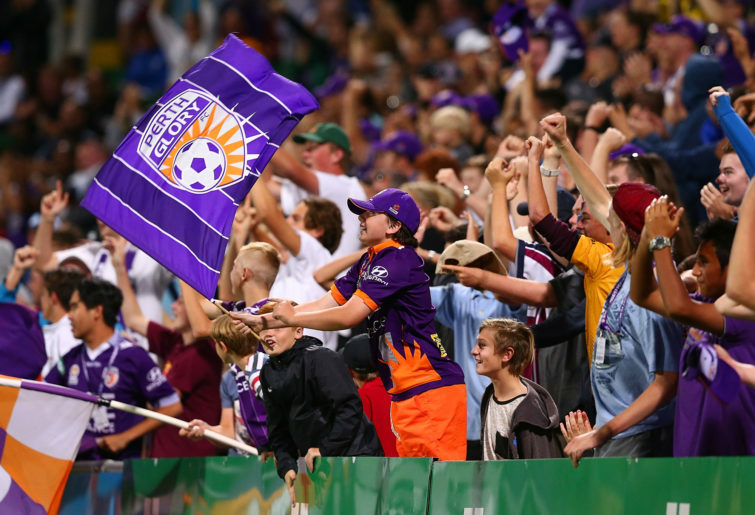 Congratulations to Perth Glory on winning the premiers plate. If you consider everything, reasons to sell Chris Ikonomidis are stacking up. 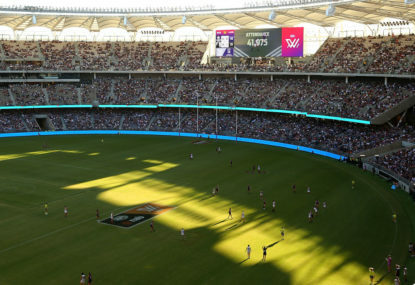 Now that Perth Glory have been crowned premiers, Football Federation Australia better hope and pray they host a grand final at Optus Stadium. There are a number of contentious improvements the FFA can consider in the final rounds of the competition.